Padron is one of the most celebrated cigar manufacturers in the world, having earned more 90-and-above ratings in Cigar Aficionado than any other non-Cuban brand. These cigars are made entirely with Nicaraguan sun-grown Habano leaves, which are all aged for a minimum of 2 ½ years. Enjoy stopping by and picking up my order. Sales people are very nice and knowledgeable about the cigars. I am very happy with them . 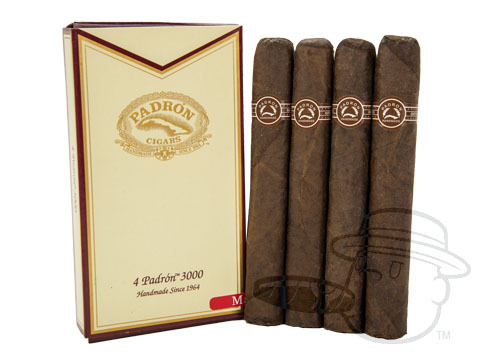 Padron 3000 Maduro is rated 4.1 out of 5 based on 6 customer ratings.